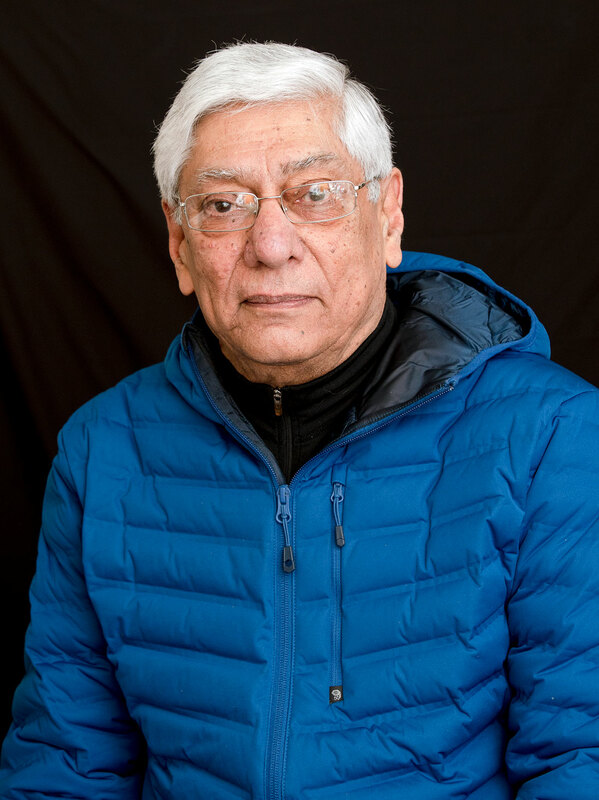 EYING SPRING 2020 – The Vimy Heritage Housing Society hopes to get shovels in the ground next spring, says society president Ranjit Sarin. As one Yukon society shifts its focus to securing funding, it’s aiming to bring its senior housing project online within the next four years – so it can hit the growing Whistle Bend neighbourhood by 2023. That’s after it hopes to get shovels in the ground next spring, the Vimy Heritage Housing Society told the Star Friday afternoon. “The projected building cycle is about three years,” said president Ranjit Sarin. Sarin hopes the project will not only fill a much-needed gap as the Yukon’s population ages – but that it can act as a preventative health care measure too. “There’s a payback; the payback is huge,” he said of the potential cost savings. “Then we have that money to invest in other areas like communities and health care,” Sarin added, guessing the savings could add up to be north of $3 million per year. And as the Yukon government looks for efficiencies in one of the biggest cost drivers – its Health and Social Services (HSS) department – via the comprehensive health care review, those cost savings referenced by the society could be welcomed with open arms. “We can’t have government do everything for everyone,” Sarin said, explaining the project’s construction cost means $25.6 million is needed. The group hasn’t asked that of YG though, he added this morning – but it’s getting help to hire a consultant to help the group apply for a grant from Canada Mortgage and Housing Corp. (CMHC). The department had also given it $22,695 in March 2018 to hire a firm that did a comparative site analysis of various potential building lots – which were identified by the group in partnership with the Department of Energy, Mines and Resources (EMR). A spokesperson for that department, Jesse Devost, confirmed this morning that YG is holding a lot in Whistle Bend for Vimy. Details on what the cost of the transfer are still being worked out. “We don’t have the development costs for that lot because it’s calculated for the entire phase of subdivisions,” Devost said. While there were other options on the table for the location, which Sarin noted in 2017 included Riverdale and Copper Ridge, it’s most likely to call Whistle Bend home. “The transfer of the parcel of land is contingent on Vimy Heritage Housing Society completing its business case analysis and moving forward with construction,” Seaton added. Sarin noted that “we are in the process now of raising funds to build the facility,” adding core and seed funding sources include stakeholders who will actually be living in the site and other options like YG and the CMHC. The Whistle Bend location for the site has been on the group’s radar for at least a year now – so he was happy to see it was finalized, given its closeness to the $146-million Whistle Bend Place. That continuing care site officially began accepting residents last October, and is a growing area in the territory. “It’s a very good location, it’s very close to the area where they will be developing businesses – they might put a coffee shop, stores or what have you,” Sarin said. Getting to this stage has been a process; a spot in the city’s downtown area was ruled out in 2017 after land at Fifth Avenue and Rogers Street was found contaminated and needed to be remediated. With plans to support an independent living site having been in the works since 2011, the society has had time to design a functional plan for a facility that could house 80 people. Sarin acknowledged there is a “misconception” of whether the project will be worth it in the end – something that’s left him with very little doubt. The project was cited as one to help seniors in independent living with modest supports, he added. “People who are at the stage in life where they’re unable to do their lawns, unable to remove snow, finding cooking too difficult. The group hopes to offer things like daily meals, light housekeeping and activities for residents. The cost savings are there too; he recalled areas like Ontario and B.C. which can see upwards of $6,000 monthly payments to facilities for seniors. It’s expected to be lower for a single-bedroom suite that could include a bathroom, kitchen, den and the like. That’s thanks to work done with an architect more than a year ago, via a cross-functional plan that saw the group look at other facilities in areas like Vancouver. While starting construction work next spring may seem like an ambitious timeline, the group has put in years of work in planning the site and is sticking with its hope. The group hopes to submit an application to the CMHC fairly quickly and expects to have an answer to that in a matter of months. Meanwhile, to illustrate the cost of HSS in the territory; in the 2019-20 budget, the department is slated to be the government’s biggest cost-driver. Out of expenses totalling $1.43 billion, the department makes up $0.44 billion. The next-highest is the Department of Highways and Public Works, at $0.26 billion. And on the flip side, HSS is projected to bring in the third-highest revenue with $0.04 billion (following Finance and Community Services). Mr Sarin is looking at the world through rosy colored spectacles. Of course if you want millions of dollars you paint a rosy picture of dollar savings and seniors living in a harmonious happy community. Some seniors are chronic alcoholics, some seniors don't want to socialize and play games, some seniors have solidified their worse traits into grumpy old men. Does this society plan to select which seniors will be privileged to gain access to this paradise? Or will the organization choose according to ethnic origin? 207 Alexander is about to get a security guard 24/7. What we really need in addition is security cameras to prevent access by drug abusers, street people, and prostitution rings. We know nothing about about Mr. Sarins business and social contacts. Yukon promoting seniors brand new low cost residences invites seniors to retire in this land of Chronic Arthritis, Specialist care that requires flying out, and limited care for Alzheimer sufferers. An increase in seniors care and accommodation means an increase in migrant labor, but it will not solve chronic unemployment, addiction, homelessness, etc. etc. Mr Sarins proposal is not a solution for social ills. And climate change is starting to look like an immediate crisis of survival and smoke filled cities. Look to the future Yukon," This is the law of the Yukon that only the strong shall thrive, that surely the weak must perish and only the fit survive." Who does Mr Sarin think he is, a savior, or a money maker? Does anyone in this group their family or relatives get to stay in this facility at opening? Juniper what are you really saying. "Thank God we have euthanasia in the territory now. I am sure there are many taking advantage of this." Do you mean many people are taking advantage of euthanasia or government housing or continuing care? I for one want more housing options for seniors and yes the gov will pick in most of the funding. I want the right to die but do not want someone like you or any other person saying my time is up. This is not Poland in 1940 after all. I think I must have misunderstood your comments but let us know if you plan to be burning books I would like to watch that. It's nice for seniors to have choice. Though, like everything else, this building will end up being supported by taxpayers. Thank God we have euthanasia in the territory now. I am sure there are many taking advantage of this. I'd say this project is needed much more, and would benefit the community in general, than a French language only school in Riverdale, but what do I know.